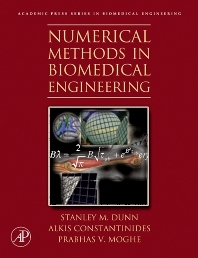 Numerical Modeling in Biomedical Engineering brings together the integrative set of computational problem solving tools important to biomedical engineers. Through the use of comprehensive homework exercises, relevant examples and extensive case studies, this book integrates principles and techniques of numerical analysis. Covering biomechanical phenomena and physiologic, cell and molecular systems, this is an essential tool for students and all those studying biomedical transport, biomedical thermodynamics & kinetics and biomechanics.